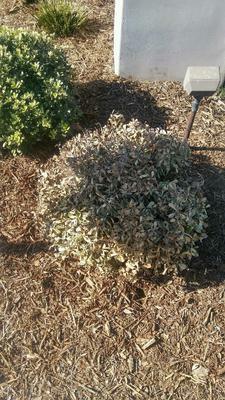 I'm a landscaper and there are some plant problems that I haven't been able to solve. I understand you guys must get requests all the time. I want to be able to help my customers and learn more as well so that their beloved plants and trees don't die. I have a Ginkgo Biloba it's one of 2 that were planted about 2 years ago. They both slowly started declining. The soil is very sandy and drains quickly, it is in Manhattan Beach about a quarter or 1/2 mile from the beach. During the past hot summer the tree started declining. I noticed slight discolorations on the trunk. We added bubblers on one side of the tree and made sure it got a lot of water but still no improvement. I'm hoping that in the spring it will start to leaf out. Is there something I should check or do? I have a dwarf Karo this is the second to mysteriously die in this front yard in manhattan beach. The soil is very sandy and what seems to happen with these plants before they die is their roots become almost hollow. When we remove them it almost looks like the roots shrunk. I don't believe it's from lack of compacting during planting or from soil settling. This has also been happening to a bunch of lavenders that were located right next to these dwarf karo. 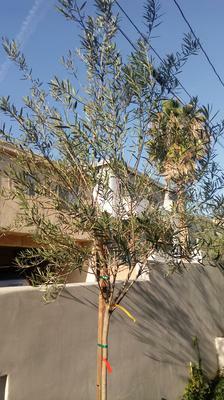 I have 8 Olive trees, they were planted also about 2 years ago in very bad soil. It was soil that was dug up from a construction job, it was very clayey. I did a soil test, and if I remember correctly it was very alkaline and poor in nutrients. We removed the trees about 4 months ago refilled the planters with good soil from bd white top (we got a good draining mix). The trees still don't look great. My customer is asking why her olive that is still in a pot (it's actually overgrown its pot) is looking so much nicer than those that are planted. What could it be, a good amount of leaves are turning red and falling off. I have a passion fruit vine. I'm not sure the age but I believe under 2 years since its a new building. They have several other passion fruits on the same property but they look better than this one. 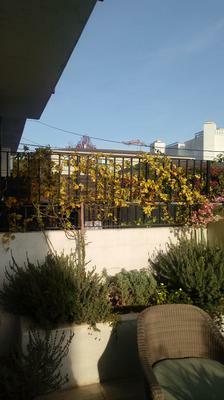 This one was recently pruned by a tenant. Could this be signs of shock from the pruning? There are lavenders planted right in front of it that are very happy which leads me to believe its not being overwatered, but the dripline does run right next to the crown of the vine and about a foot away from the crown of the lavenders (so the passion fruit is staying slightly more wet than the lavender). In you professional opinion what does that look like to you? I'm going to suggest another soil test - this time for salts. All of this kind of damage, in such large amounts across all kinds of species of plants, suggests something in the soil, especially the root damage you describe. It could be an excess of salt, either moving in from the ocean or present in the soil. You just don't know what you're getting. Did you plant/replant these plants? Often, root bound plants in containers are planted into what people think is good soil, but they don't thrive. In doing a post mortem, it's obvious that the roots never broke out of the mold of the pot, and just kept going around and around, eventually strangling itself. I always trim and spread the roots of a plant - it's more work, but it's not as heartbreaking as replacing a dead plant in a couple of years. I would take some samples to your agriculture department. They would also know if there are any pests in the soil that would cause these symptoms. 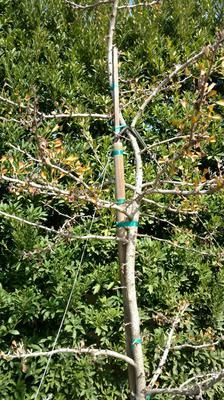 Pruning too hard can create a whole host of issues - most likely it was pruned at the wrong stage of growth. In all cases, patience is the key - don't give up on them until you know for sure that they're dead. Above all, don't fertilize! That would be the final straw. Continue to water, especially when it's really hot, and fingers crossed that they recover.